was a distortion of about 5 pixels in the long axis. diagonal by 10 pixels, shrinking the radial from the center to each corner by 5.
resizing had almost no effect. See animated GIF panels “Original” (the original image) and “Contracted” (the resized image). Note this is a crop of the full frame, taken from the lower right corner. only where the ovals overlapped. See “Min Combine” in the animated GIF. 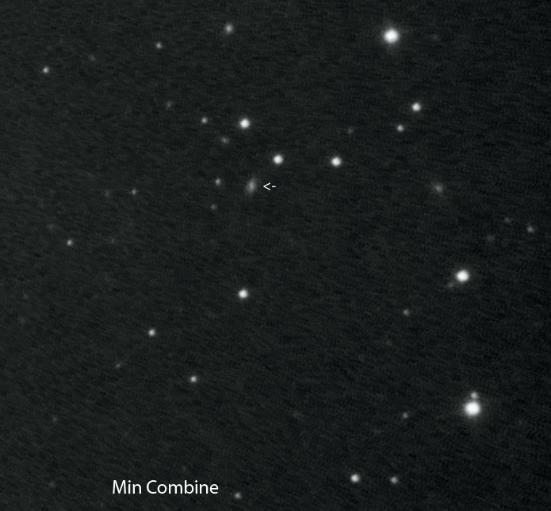 same axis, so the correction both at the top and the bottom of the image produces round stars. galaxy - NGP0F378-0022175. See the Palomar Observatory Sky Survey image. 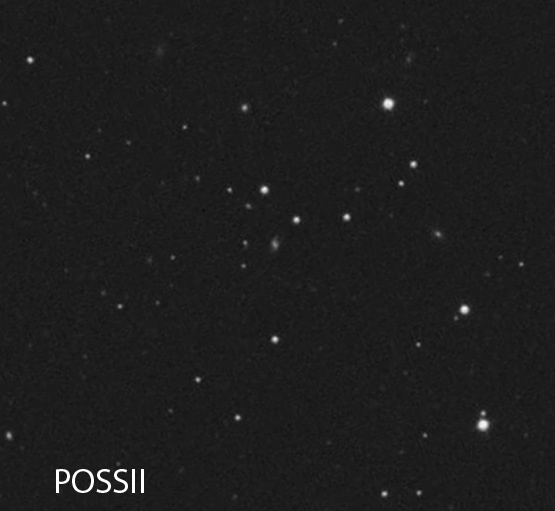 That galaxy does, indeed have a somewhat vertical orientation as shown in the POSS image. allow precision astrometry. It's an approximation. But it's a big help in repairing images distorted by off axis coma. To see the full image used in these examples click on the thumbnail below. Images taken with a Vixen VMC260L OTA and SBIG STL11000M camera.